CBS lead NFL director Mike Arnold (left) will direct the AFC Championship game and Super Bowl LII for CBS Sports. (Photo: CBS Sports). Like many professional football players themselves, CBS Sports Lead television director Mike Arnold tries to treat the Super Bowl as he would a regular season game, calling the same shots and camera angles—albeit with many more cameras at his disposal, augmented reality graphics on the field and virtually every part of the playing field mic’d up. A veteran of the past four Super Bowl telecasts on CBS, Arnold said he will approach this year’s Super Bowl LIII show on February 3, live from Atlanta’s Mercedes Benz Stadium, as he would any other he has directed in his illustrious career. Arnold will also direct the preceding AFC Championship game on January 20 live from Arrowhead Stadium in Kansas City. For both games he’ll be perched in the same mobile production truck, NEP's SSCBS mobile unit—complete with more than three-dozen Sony 14x HDC-2500 cameras, about a dozen Sony HDC-4300 4K SuperSloMo cameras and, new this year, a Panasonic 8K camera for super high resolution HD replays—and conduct the games in the same way he always does. All will utilize Fujinon's latest 4K lenses. The physical configuration of the unit is three double-expanding 53-ft. trailers and a fourth truck for game related activities. The A unit has a 15- x 21-ft. production area and a 15- x 18-ft. graphics area (each with 12 positions). The large monitor wall that Arnold and his team will be closely watching those camera feeds on is made up of numerous Boland Communications 31x32” flat screen displays. Story telling, he said, is most important and Arnold helps create that with close-ups of the players and then also wide shots of the stadium so the audience can get a feel for what it’s like to actually be there at the game. 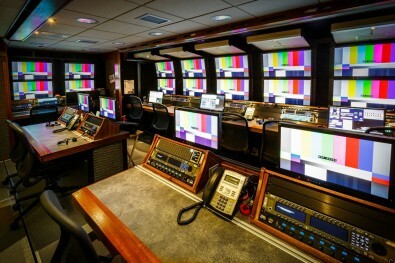 NEP’s SSCBS truck, which was used for the NFL regular season, features a wide array of live production equipment, including a Grass Valley Kayenne switcher and multiple EVS XT3 replay servers. Click to enlarge. 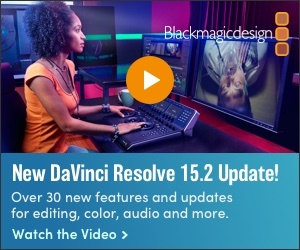 NEP’s SSCBS also features a 192-input Grass Valley Kayenne Elite production switcher, along with supporting the “B” and “C” trucks, will handle the 115 total cameras (86 dedicated to game play itself), the on-air graphics, a full complement of EVS XT3 (HD) and XT4 (4K) replay devices, and Calrec Audio Apollo and Artemis audio mixing consoles. Arnold said this year his shot selection will often shadow CBS Sports on-air announcer Tony Romo’s commentary, because the former quarterback has gained a reputation for seeing the entire field from a player’s perspective and how plays develop. “When [Tony Romo] says ‘That’s a great block’ by a player, I try to quickly focus on that player and follow his perspective,” Arnold said. “We’ve worked together all year long and have formed an unspoken bond that viewers have really taken to. Many of those replays will capture end zone action and super slow-motion replays with 16 Sony 4K cameras (HDC-4800) 4K/HD Ultra High Frame Rate systems and one Panasonic (AK-SHB810) 8K camera system. The later uses a single “organic” film sensor capable of shooting 8K/60p video, with wide dynamic range (HDR) and global shutter to prevent image distortion. This year’s telecast will also feature augmented reality graphics on the field, complete with a roving camera operators that will enable viewers at home to see the planned player stats and game analysis in a while new way. It sounds cool, but Arnold is a bit nervous about how it will all work. He’ll get a rehearsal with it the week before the Super Bowl and hopefully become comfortable with it by (AFC Championship) game time on January 20th.